Citrus Juicer Carafe with Removable Juicing Attachment Just $4.99 Down From $24.99! Ships FREE! You are here: Home / Great Deals / Citrus Juicer Carafe with Removable Juicing Attachment Just $4.99 Down From $24.99! Ships FREE! GearXS has this Citrus Juicer Carafe with Removable Juicing Attachment on sale for $4.99 (Reg. $24.99) + FREE shipping! There is nothing better than fresh squeezed orange juice in the morning. Make any citrus juice easily with the 1.2 Liter Citrus Juicer Carafe with Removable Juicing Attachment. 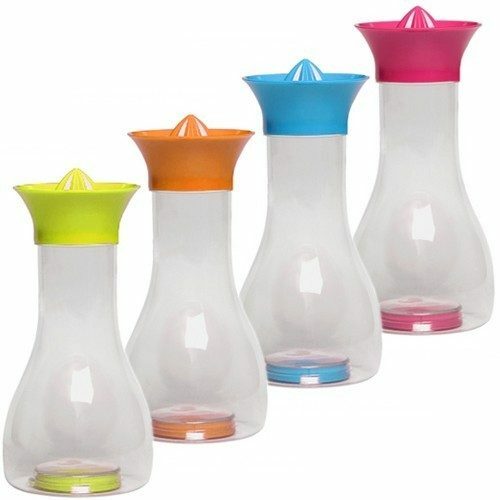 This carafe comes apart quickly for easy clean up and includes a cap to keep juices fresh. The 1.2 Liter Citrus Juicer Carafe comes in a shatter-proof plastic carafe that makes juicing safe and fun for the whole family.